Country Terrace of Wisconsin in Abbotsford (100 S. 4th Avenue) is a 16 bed assisted living facility that offers a secure and home-like environment for our residents. It is located near medical facilities, as well as numerous shopping, dining and recreational facilities. The facility provides our residents with a warm, dignified and caring atmosphere by recognizing the special needs of each and every resident. We have experienced staff to provide security and supervision at all times with our main goal being to assure each resident of living life to the fullest of their capabilities. Arts, baking, bingo, board games, cards, community concerts, cooking, crafts, exercise, movies, music, outings, pet therapy, picnics, reminiscing, special parties for holidays and birthdays, visitors, volunteers from churches or schools, and walks. Country Terrace in Abbotsford invites prospective residents and family members, guardians & POA’s to tour our facility and meet our staff and other residents at our facility. We look forward to the possibility of your loved one moving into our Home and joining our Family! Care Partners Assisted Living in Altoona (887 Briar Lane) is a 20 bed assisted living facility that offers a secure and home-like environment for our residents. It is located near medical facilities, as well as numerous shopping, dining and recreational facilities. The facility provides our residents with a warm, dignified and caring atmosphere by recognizing the special needs of each and every resident. We have experienced staff to provide security and supervision at all times with our main goal being to assure each resident of living life to the fullest of their capabilities. Care Partners in Altoona invites prospective residents and family members, guardians & POA’s to tour our facility and meet our staff and other residents at our facility. We look forward to the possibility of your loved one moving into our Home and joining our Family! Care Partners Assisted Living in Altoona (893 Briar Lane) is a 20 bed assisted living facility that offers a secure and home-like environment for our residents. It is located near medical facilities, as well as numerous shopping, dining and recreational facilities. The facility provides our residents with a warm, dignified and caring atmosphere by recognizing the special needs of each and every resident. We have experienced staff to provide security and supervision at all times with our main goal being to assure each resident of living life to the fullest of their capabilities. Care Partners Assisted Living in Antigo (1415 10th Avenue) is a 16 bed assisted living facility that offers a secure and home-like environment for our residents. It is located near medical facilities, as well as numerous shopping, dining and recreational facilities. The facility provides our residents with a warm, dignified and caring atmosphere by recognizing the special needs of each and every resident. We have experienced staff to provide security and supervision at all times with our main goal being to assure each resident of living life to the fullest of their capabilities. Care Partners in Antigo invites prospective residents and family members, guardians & POA’s to tour our facility and meet our staff and other residents at our facility. We look forward to the possibility of your loved one moving into our Home and joining our Family! 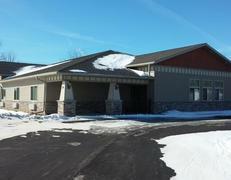 Care Partners Assisted Living in Antigo (1417 10th Avenue) is a 16 bed assisted living facility that offers a secure and home-like environment for our residents. It is located near medical facilities, as well as numerous shopping, dining and recreational facilities. The facility provides our residents with a warm, dignified and caring atmosphere by recognizing the special needs of each and every resident. We have experienced staff to provide security and supervision at all times with our main goal being to assure each resident of living life to the fullest of their capabilities. Country Terrace of Wisconsin in Appleton (749 W. Parkway Blvd.) 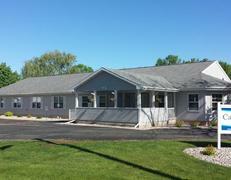 is a 16 bed assisted living facility that offers a secure and home-like environment for our residents. It is located near medical facilities, as well as numerous shopping, dining and recreational facilities. The facility provides our residents with a warm, dignified and caring atmosphere by recognizing the special needs of each and every resident. We have experienced staff to provide security and supervision at all times with our main goal being to assure each resident of living life to the fullest of their capabilities. Country Terrace in Appleton invites prospective residents and family members, guardians & POA’s to tour our facility and meet our staff and other residents at our facility. We look forward to the possibility of your loved one moving into our Home and joining our Family! Care Partners Assisted Living in Appleton (5031 N. French Road) is a 20 bed assisted living facility that offers a secure and home-like environment for our residents. It is located near medical facilities, as well as numerous shopping, dining and recreational facilities. The facility provides our residents with a warm, dignified and caring atmosphere by recognizing the special needs of each and every resident. We have experienced staff to provide security and supervision at all times with our main goal being to assure each resident of living life to the fullest of their capabilities. Care Partners in Appleton invites prospective residents and family members, guardians & POA’s to tour our facility and meet our staff and other residents at our facility. We look forward to the possibility of your loved one moving into our Home and joining our Family! Care Partners Assisted Living in Appleton (5101 N. French Road) is a 38 bed assisted living facility that offers a secure and home-like environment for our residents. It is located near medical facilities, as well as numerous shopping, dining and recreational facilities. The facility provides our residents with a warm, dignified and caring atmosphere by recognizing the special needs of each and every resident. We have experienced staff to provide security and supervision at all times with our main goal being to assure each resident of living life to the fullest of their capabilities. Country Terrace of Wisconsin in Black River Falls (642 E. 3rd Street) is a 25 bed assisted living facility that offers a secure and home-like environment for our residents. It is located near medical facilities, as well as numerous shopping, dining and recreational facilities. The facility provides our residents with a warm, dignified and caring atmosphere by recognizing the special needs of each and every resident. We have experienced staff to provide security and supervision at all times with our main goal being to assure each resident of living life to the fullest of their capabilities. Country Terrace in Black River Falls invites prospective residents and family members, guardians & POA’s to tour our facility and meet our staff and other residents at our facility. We look forward to the possibility of your loved one moving into our Home and joining our Family! 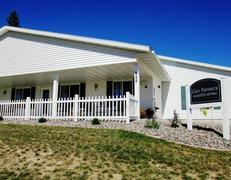 Country Terrace of Wisconsin in Black River Falls (525 E. 2nd Street) is a 17 bed assisted living facility that offers a secure and home-like environment for our residents. It is located near medical facilities, as well as numerous shopping, dining and recreational facilities. The facility provides our residents with a warm, dignified and caring atmosphere by recognizing the special needs of each and every resident. We have experienced staff to provide security and supervision at all times with our main goal being to assure each resident of living life to the fullest of their capabilities. Country Terrace of Wisconsin in Bloomer (406 Priddy Street) is a 17 bed assisted living facility that offers a secure and home-like environment for our residents. It is located near medical facilities, as well as numerous shopping, dining and recreational facilities. The facility provides our residents with a warm, dignified and caring atmosphere by recognizing the special needs of each and every resident. We have experienced staff to provide security and supervision at all times with our main goal being to assure each resident of living life to the fullest of their capabilities. Country Terrace in Bloomer invites prospective residents and family members, guardians & POA’s to tour our facility and meet our staff and other residents at our facility. We look forward to the possibility of your loved one moving into our Home and joining our Family! Care Partners Assisted Living in Bloomer (406 B Priddy Street) is a 16 bed assisted living facility that offers a secure and home-like environment for our residents. It is located near medical facilities, as well as numerous shopping, dining and recreational facilities. The facility provides our residents with a warm, dignified and caring atmosphere by recognizing the special needs of each and every resident. We have experienced staff to provide security and supervision at all times with our main goal being to assure each resident of living life to the fullest of their capabilities. Care Partners in Bloomer invites prospective residents and family members, guardians & POA’s to tour our facility and meet our staff and other residents at our facility. We look forward to the possibility of your loved one moving into our Home and joining our Family! Care Partners Assisted Living in Clintonville (59 Industrial Avenue) is a 18 bed assisted living facility that offers a secure and home-like environment for our residents. It is located near medical facilities, as well as numerous shopping, dining and recreational facilities. The facility provides our residents with a warm, dignified and caring atmosphere by recognizing the special needs of each and every resident. We have experienced staff to provide security and supervision at all times with our main goal being to assure each resident of living life to the fullest of their capabilities. Care Partners in Clintonville invites prospective residents and family members, guardians & POA’s to tour our facility and meet our staff and other residents at our facility. We look forward to the possibility of your loved one moving into our Home and joining our Family! Care Partners Assisted Living in Eau Claire (3337 Birch Street) is a 20 bed assisted living facility that offers a secure and home-like environment for our residents. It is located near medical facilities, as well as numerous shopping, dining and recreational facilities. The facility provides our residents with a warm, dignified and caring atmosphere by recognizing the special needs of each and every resident. We have experienced staff to provide security and supervision at all times with our main goal being to assure each resident of living life to the fullest of their capabilities. Care Partners in Eau Claire invites prospective residents and family members, guardians & POA’s to tour our facility and meet our staff and other residents at our facility. We look forward to the possibility of your loved one moving into our Home and joining our Family! Care Partners Assisted Living in Eau Claire (3325 Birch Street) is a 34 bed assisted living facility that offers a secure and home-like environment for our residents. It is located near medical facilities, as well as numerous shopping, dining and recreational facilities. The facility provides our residents with a warm, dignified and caring atmosphere by recognizing the special needs of each and every resident. We have experienced staff to provide security and supervision at all times with our main goal being to assure each resident of living life to the fullest of their capabilities. Care Partners Assisted Living at Eau Claire West (5110 Stonewood Drive) is a 60 bed assisted living facility with 40 beds dedicated to assisted living and 20 beds focused on memory care. This facility offers a secure and home-like environment for our residents. It is located near medical facilities, as well as numerous shopping, dining and recreational facilities. The facility provides our residents with a warm, dignified and caring atmosphere by recognizing the special needs of each and every resident. We have experienced staff to provide security and supervision at all times with our main goal being to assure each resident of living life to the fullest of their capabilities. •Arts, baking, bingo, board games, cards, community concerts, cooking, crafts, exercise, movies, music, outings, pet therapy, picnics, reminiscing, special parties for holidays and birthdays, visitors, volunteers from churches or schools, and walks. Care Partners at Eau Claire West invites prospective residents and family members, guardians & POA’s to tour our facility and meet our staff and other residents at our facility. We look forward to the possibility of your loved one moving into our Home and joining our Family! Care Partners Assisted Living in Hayward (15497 Pinewood Drive) is a 13 bed assisted living facility that offers a secure and home-like environment for our residents. It is located near medical facilities, as well as numerous shopping, dining and recreational facilities. The facility provides our residents with a warm, dignified and caring atmosphere by recognizing the special needs of each and every resident. We have experienced staff to provide security and supervision at all times with our main goal being to assure each resident of living life to the fullest of their capabilities. Care Partners in Hayward invites prospective residents and family members, guardians & POA’s to tour our facility and meet our staff and other residents at our facility. We look forward to the possibility of your loved one moving into our Home and joining our Family! Country Terrace of Wisconsin in Hayward (10260 White Birch Lane) is a 16 bed assisted living facility that offers a secure and home-like environment for our residents. It is located near medical facilities, as well as numerous shopping, dining and recreational facilities. The facility provides our residents with a warm, dignified and caring atmosphere by recognizing the special needs of each and every resident. We have experienced staff to provide security and supervision at all times with our main goal being to assure each resident of living life to the fullest of their capabilities. Country Terrace in Hayward invites prospective residents and family members, guardians & POA’s to tour our facility and meet our staff and other residents at our facility. We look forward to the possibility of your loved one moving into our Home and joining our Family! 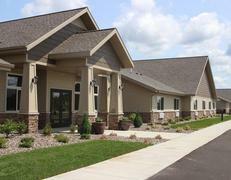 Care Partners Assisted Living in Hortonville (112 Harris Way) is a 56 bed assisted living facility with 20 beds focused on alzheimers & dementia specific care and 36 beds for assisted living. The facility offers a secure and home-like environment for our residents. It is located near medical facilities, as well as numerous shopping, dining and recreational facilities. The facility provides our residents with a warm, dignified and caring atmosphere by recognizing the special needs of each and every resident. We have experienced staff to provide security and supervision at all times with our main goal being to assure each resident of living life to the fullest of their capabilities. Care Partners in Hortonville invites prospective residents and family members, guardians & POA’s to tour our facility and meet our staff and other residents at our facility. We look forward to the possibility of your loved one moving into our Home and joining our Family! 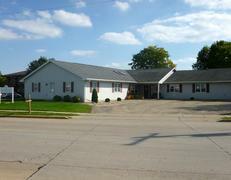 Care Partners Assisted Living in Kaukauna (W5219 Amy Ave) is a 56 bed assisted living facility with 20 beds focused on alzheimers & dementia specific care and 36 beds for assisted living. 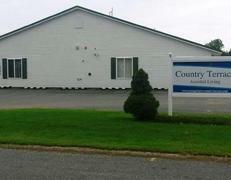 The facility offers a secure and home-like environment for our residents. It is located near medical facilities, as well as numerous shopping, dining and recreational facilities. The facility provides our residents with a warm, dignified and caring atmosphere by recognizing the special needs of each and every resident. We have experienced staff to provide security and supervision at all times with our main goal being to assure each resident of living life to the fullest of their capabilities. Care Partners in Kaukauna invites prospective residents and family members, guardians & POA’s to tour our facility and meet our staff and other residents at our facility. We look forward to the possibility of your loved one moving into our Home and joining our Family! Care Partners Assisted Living in Ladysmith (1105 Baker Avenue) is a 16 bed assisted living facility that offers a secure and home-like environment for our residents. It is located near medical facilities, as well as numerous shopping, dining and recreational facilities. The facility provides our residents with a warm, dignified and caring atmosphere by recognizing the special needs of each and every resident. We have experienced staff to provide security and supervision at all times with our main goal being to assure each resident of living life to the fullest of their capabilities. Care Partners in Ladysmith invites prospective residents and family members, guardians & POA’s to tour our facility and meet our staff and other residents at our facility. We look forward to the possibility of your loved one moving into our Home and joining our Family! Country Terrace of Wisconsin in Ladysmith (910 Shady Lane) is a 16 bed assisted living facility that offers a secure and home-like environment for our residents. It is located near medical facilities, as well as numerous shopping, dining and recreational facilities. The facility provides our residents with a warm, dignified and caring atmosphere by recognizing the special needs of each and every resident. We have experienced staff to provide security and supervision at all times with our main goal being to assure each resident of living life to the fullest of their capabilities. Country Terrace in Ladysmith invites prospective residents and family members, guardians & POA’s to tour our facility and meet our staff and other residents at our facility. We look forward to the possibility of your loved one moving into our Home and joining our Family! Care Partners Assisted Living in Little Chute (425 Moasis Drive) is a 14 bed assisted living facility that offers a secure and home-like environment for our residents. It is located near medical facilities, as well as numerous shopping, dining and recreational facilities. The facility provides our residents with a warm, dignified and caring atmosphere by recognizing the special needs of each and every resident. We have experienced staff to provide security and supervision at all times with our main goal being to assure each resident of living life to the fullest of their capabilities. Care Partners in Little Chute invites prospective residents and family members, guardians & POA’s to tour our facility and meet our staff and other residents at our facility. We look forward to the possibility of your loved one moving into our Home and joining our Family! Care Partners Assisted Living in Manitowoc (1858 Mirro Drive) is a 15 bed assisted living facility that offers a secure and home-like environment for our residents. It is located near medical facilities, as well as numerous shopping, dining and recreational facilities. The facility provides our residents with a warm, dignified and caring atmosphere by recognizing the special needs of each and every resident. We have experienced staff to provide security and supervision at all times with our main goal being to assure each resident of living life to the fullest of their capabilities. Care Partners in Manitowoc invites prospective residents and family members, guardians & POA’s to tour our facility and meet our staff and other residents at our facility. We look forward to the possibility of your loved one moving into our Home and joining our Family! Care Partners Assisted Living in Medford (955 E. Allman Street) is a 18 bed assisted living facility that offers a secure and home-like environment for our residents. It is located near medical facilities, as well as numerous shopping, dining and recreational facilities. The facility provides our residents with a warm, dignified and caring atmosphere by recognizing the special needs of each and every resident. We have experienced staff to provide security and supervision at all times with our main goal being to assure each resident of living life to the fullest of their capabilities. Care Partners in Medford invites prospective residents and family members, guardians & POA’s to tour our facility and meet our staff and other residents at our facility. We look forward to the possibility of your loved one moving into our Home and joining our Family! Care Partners Assisted Living in Menomonie (1902 Talen Street) is a 16 bed assisted living facility that offers a secure and home-like environment for our residents. It is located near medical facilities, as well as numerous shopping, dining and recreational facilities. The facility provides our residents with a warm, dignified and caring atmosphere by recognizing the special needs of each and every resident. We have experienced staff to provide security and supervision at all times with our main goal being to assure each resident of living life to the fullest of their capabilities. Care Partners in Menomonie invites prospective residents and family members, guardians & POA’s to tour our facility and meet our staff and other residents at our facility. We look forward to the possibility of your loved one moving into our Home and joining our Family! Country Terrace of Wisconsin in Menomonie (1916 Talen Street) is a 16 bed assisted living facility that offers a secure and home-like environment for our residents. It is located near medical facilities, as well as numerous shopping, dining and recreational facilities. The facility provides our residents with a warm, dignified and caring atmosphere by recognizing the special needs of each and every resident. We have experienced staff to provide security and supervision at all times with our main goal being to assure each resident of living life to the fullest of their capabilities. Country Terrace in Menomonie invites prospective residents and family members, guardians & POA’s to tour our facility and meet our staff and other residents at our facility. We look forward to the possibility of your loved one moving into our Home and joining our Family! Country Terrace of Wisconsin in Minocqua (8730 Packing Plant Road) is a 24 bed assisted living facility that offers a secure and home-like environment for our residents. It is located near medical facilities, as well as numerous shopping, dining and recreational facilities. The facility provides our residents with a warm, dignified and caring atmosphere by recognizing the special needs of each and every resident. We have experienced staff to provide security and supervision at all times with our main goal being to assure each resident of living life to the fullest of their capabilities. 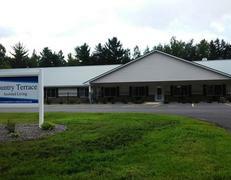 Country Terrace in Minocqua invites prospective residents and family members, guardians & POA’s to tour our facility and meet our staff and other residents at our facility. We look forward to the possibility of your loved one moving into our Home and joining our Family! 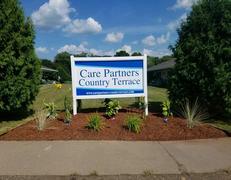 Care Partners Assisted Living in Oconto (301 Pine Avenue) is a 25 bed assisted living facility that offers a secure and home-like environment for our residents. It is located near medical facilities, as well as numerous shopping, dining and recreational facilities. The facility provides our residents with a warm, dignified and caring atmosphere by recognizing the special needs of each and every resident. We have experienced staff to provide security and supervision at all times with our main goal being to assure each resident of living life to the fullest of their capabilities. Care Partners in Oconto invites prospective residents and family members, guardians & POA’s to tour our facility and meet our staff and other residents at our facility. We look forward to the possibility of your loved one moving into our Home and joining our Family! Country Terrace of Wisconsin in Rhinelander (1450 W. Phillips Street) is a 15 bed assisted living facility that offers a secure and home-like environment for our residents. It is located near medical facilities, as well as numerous shopping, dining and recreational facilities. The facility provides our residents with a warm, dignified and caring atmosphere by recognizing the special needs of each and every resident. We have experienced staff to provide security and supervision at all times with our main goal being to assure each resident of living life to the fullest of their capabilities. Country Terrace in Rhinelander invites prospective residents and family members, guardians & POA’s to tour our facility and meet our staff and other residents at our facility. We look forward to the possibility of your loved one moving into our Home and joining our Family! Country Terrace of Wisconsin in Rhinelander (533 E. Timber Drive) is a 15 bed assisted living facility that offers a secure and home-like environment for our residents. It is located near medical facilities, as well as numerous shopping, dining and recreational facilities. The facility provides our residents with a warm, dignified and caring atmosphere by recognizing the special needs of each and every resident. We have experienced staff to provide security and supervision at all times with our main goal being to assure each resident of living life to the fullest of their capabilities. 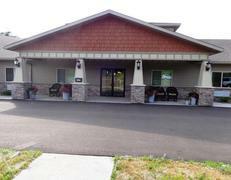 Care Partners Assisted Living in Rice Lake (1639 Kern Avenue) is a 20 bed assisted living facility that offers a secure and home-like environment for our residents. It is located near medical facilities, as well as numerous shopping, dining and recreational facilities. The facility provides our residents with a warm, dignified and caring atmosphere by recognizing the special needs of each and every resident. We have experienced staff to provide security and supervision at all times with our main goal being to assure each resident of living life to the fullest of their capabilities. Care Partners in Rice Lake invites prospective residents and family members, guardians & POA’s to tour our facility and meet our staff and other residents at our facility. We look forward to the possibility of your loved one moving into our Home and joining our Family! Country Terrace of Wisconsin in Rice Lake (1631 Kern Avenue) is a 16 bed assisted living facility that offers a secure and home-like environment for our residents. It is located near medical facilities, as well as numerous shopping, dining and recreational facilities. The facility provides our residents with a warm, dignified and caring atmosphere by recognizing the special needs of each and every resident. We have experienced staff to provide security and supervision at all times with our main goal being to assure each resident of living life to the fullest of their capabilities. Country Terrace in Rice Lake invites prospective residents and family members, guardians & POA’s to tour our facility and meet our staff and other residents at our facility. We look forward to the possibility of your loved one moving into our Home and joining our Family! Care Partners Assisted Living in Spooner (W7184 Green Valley Road) is a 15 bed assisted living facility that offers a secure and home-like environment for our residents. It is located near medical facilities, as well as numerous shopping, dining and recreational facilities. The facility provides our residents with a warm, dignified and caring atmosphere by recognizing the special needs of each and every resident. We have experienced staff to provide security and supervision at all times with our main goal being to assure each resident of living life to the fullest of their capabilities. Care Partners in Spooner invites prospective residents and family members, guardians & POA’s to tour our facility and meet our staff and other residents at our facility. We look forward to the possibility of your loved one moving into our Home and joining our Family! Country Terrace of Wisconsin in Spooner (N4810 Hill Drive) is a 18 bed assisted living facility that offers a secure and home-like environment for our residents. It is located near medical facilities, as well as numerous shopping, dining and recreational facilities. The facility provides our residents with a warm, dignified and caring atmosphere by recognizing the special needs of each and every resident. We have experienced staff to provide security and supervision at all times with our main goal being to assure each resident of living life to the fullest of their capabilities. Country Terrace in Spooner invites prospective residents and family members, guardians & POA’s to tour our facility and meet our staff and other residents at our facility. We look forward to the possibility of your loved one moving into our Home and joining our Family! Country Terrace of Wisconsin in Stanley (804 Pine Street) is a 16 bed assisted living facility that offers a secure and home-like environment for our residents. It is located near medical facilities, as well as numerous shopping, dining and recreational facilities. The facility provides our residents with a warm, dignified and caring atmosphere by recognizing the special needs of each and every resident. We have experienced staff to provide security and supervision at all times with our main goal being to assure each resident of living life to the fullest of their capabilities. Country Terrace in Stanley invites prospective residents and family members, guardians & POA’s to tour our facility and meet our staff and other residents at our facility. We look forward to the possibility of your loved one moving into our Home and joining our Family! Care Partners Assisted Living in Stevens Point (3349 A Whiting Avenue) is a 16 bed assisted living facility that offers a secure and home-like environment for our residents. It is located near medical facilities, as well as numerous shopping, dining and recreational facilities. The facility provides our residents with a warm, dignified and caring atmosphere by recognizing the special needs of each and every resident. We have experienced staff to provide security and supervision at all times with our main goal being to assure each resident of living life to the fullest of their capabilities. Care Partners in Stevens Point invites prospective residents and family members, guardians & POA’s to tour our facility and meet our staff and other residents at our facility. We look forward to the possibility of your loved one moving into our Home and joining our Family! Care Partners Assisted Living in Stevens Point (3349 B Whiting Avenue) is a 16 bed assisted living facility that offers a secure and home-like environment for our residents. It is located near medical facilities, as well as numerous shopping, dining and recreational facilities. The facility provides our residents with a warm, dignified and caring atmosphere by recognizing the special needs of each and every resident. We have experienced staff to provide security and supervision at all times with our main goal being to assure each resident of living life to the fullest of their capabilities. Country Terrace of Wisconsin in Stratford (213721 Legion St.) is a 15 bed assisted living facility that offers a secure and home-like environment for our residents. It is located near medical facilities, as well as numerous shopping, dining and recreational facilities. The facility provides our residents with a warm, dignified and caring atmosphere by recognizing the special needs of each and every resident. We have experienced staff to provide security and supervision at all times with our main goal being to assure each resident of living life to the fullest of their capabilities. Country Terrace in Stratford invites prospective residents and family members, guardians & POA’s to tour our facility and meet our staff and other residents at our facility. We look forward to the possibility of your loved one moving into our Home and joining our Family! Country Terrace of Wisconsin in Tomahawk (300 Theiler Drive) is a 33 bed assisted living facility that offers a secure and home-like environment for our residents. It is located near medical facilities, as well as numerous shopping, dining and recreational facilities. The facility provides our residents with a warm, dignified and caring atmosphere by recognizing the special needs of each and every resident. We have experienced staff to provide security and supervision at all times with our main goal being to assure each resident of living life to the fullest of their capabilities. Country Terrace in Tomahawk invites prospective residents and family members, guardians & POA’s to tour our facility and meet our staff and other residents at our facility. We look forward to the possibility of your loved one moving into our Home and joining our Family! Care Partners Assisted Living in Weston (5905 Delikowski Street) is a 20 bed assisted living facility that offers a secure and home-like environment for our residents. It is located near medical facilities, as well as numerous shopping, dining and recreational facilities. The facility provides our residents with a warm, dignified and caring atmosphere by recognizing the special needs of each and every resident. We have experienced staff to provide security and supervision at all times with our main goal being to assure each resident of living life to the fullest of their capabilities. Care Partners in Weston invites prospective residents and family members, guardians & POA’s to tour our facility and meet our staff and other residents at our facility. We look forward to the possibility of your loved one moving into our Home and joining our Family! Care Partners Assisted Living in Weston (5855 Delikowski Street) is a 16 bed assisted living facility that offers a secure and home-like environment for our residents. It is located near medical facilities, as well as numerous shopping, dining and recreational facilities. The facility provides our residents with a warm, dignified and caring atmosphere by recognizing the special needs of each and every resident. We have experienced staff to provide security and supervision at all times with our main goal being to assure each resident of living life to the fullest of their capabilities. Care Partners Assisted Living in Winneconne (234 S. 5th Street) is a 15 bed assisted living facility that offers a secure and home-like environment for our residents. It is located near medical facilities, as well as numerous shopping, dining and recreational facilities. The facility provides our residents with a warm, dignified and caring atmosphere by recognizing the special needs of each and every resident. We have experienced staff to provide security and supervision at all times with our main goal being to assure each resident of living life to the fullest of their capabilities. Care Partners in Winneconne invites prospective residents and family members, guardians & POA’s to tour our facility and meet our staff and other residents at our facility. We look forward to the possibility of your loved one moving into our Home and joining our Family!